For my break in Bruges I stayed at Hotel Aragon which was a short walk from Market Square. 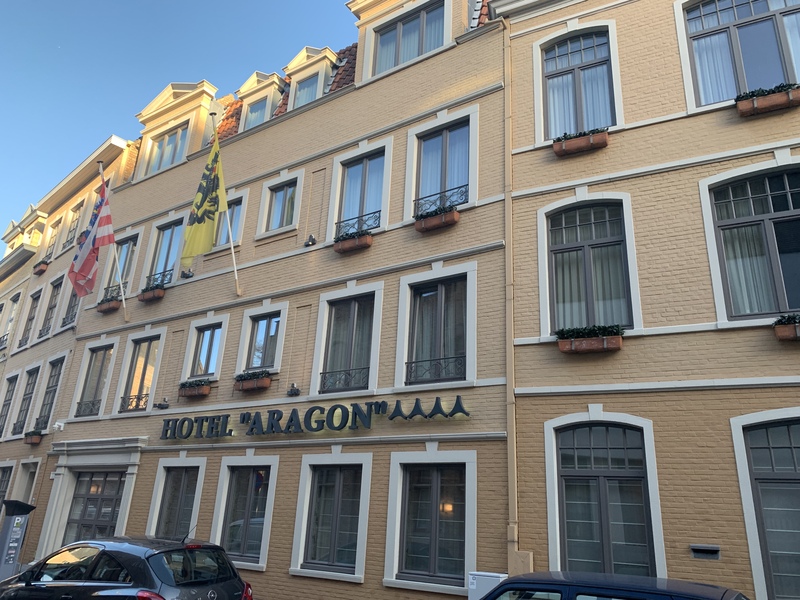 I found that this hotel is close enough to all the main attractions in Bruges as you could reach them easily walking, but it was also far enough so that you were away from any noise of the main city. Hotel Aragon is part of the hotel group Swan Collection. Within the hotel there are 42 rooms as well as a lounge, which also serves as a bar in the evening. Private parking is also available at the hotel. My stay at Hotel Aragon included a buffet breakfast where you are able to enjoy a small selection of pastries, cereal, fruit as well as some hot items including eggs, bacon, sausage and beans. A selection of juices, tea and coffee are also available. During my stay I was in a double room which I shared with my Mum and found this room to be spacious with plenty of storage. You are able to choose from either a budget, comfort or executive room but we opted for a comfort room. In the room we had tea and coffee facilities as well as a bathroom with a shower. I found the room to be bright and furnished in a modern style. Rooms available to book at Hotel Aragon include twin, double or family. This is a hotel that I would return to if I was to revisit Bruges. Personally I find this hotel is good value for money especially for its location.